I would like to recognize all those intermediate students who have worked hard during the first two terms of the year. These students have shown the kind of responsibility for their own learning that we encourage at Maple Grove. 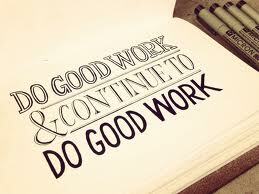 In order to be recognized, students must have worked hard in all subject areas as reported by their teachers. To have 119 students out of 273 intermediate students (47%) meet this criteria is remarkable. It should be noted that all our other students are also working well in most subject areas. To see this level of student engagement is the result of the excellent teaching that prevails at Maple Grove. Our teachers deserve accolades for the high standards that they have maintained and their continuing care of each of their students. Today we had our volunteer tea during which the staff recognize the tremendous contribution of parents to the learning environment at Maple Grove. You truly do give of your time generously. Thank you for your time and your commitment, for cooking and cleaning and serving food, for playing the piano and helping the choir, for driving and supervising, for organizing and planning. We thank you. For running with the kids and giving them treats, for showing movies and creating Halloween magic, for setting up games, and running a Spring Festival. We all thank you. For sawing and hammering, digging and carrying, for creating plans for our garden we thank you. For counting money and accounting, for meeting and discussing, for making decisions, for phoning and emailing and communicating. We thank you. For imparting your wisdom and your knowledge and your skills, for fund raising, for trying new things, for being part of our community of learners. Thank you. For your leadership, for your ideas, for the way you all work to build and sustain our community, we thank you. Each parent would create a student activity for after school and be responsible for running the activity. The activity can be held in the lunch room. 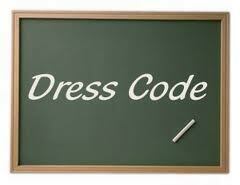 The parent will send out notices to the families of the grade appropriate group. Interested children will return the form signed by their parents to the Office. The first 20 – 30 students who respond will be registered. There may be a nominal fee of $2 – $5 to cover costs of materials and teaching/coaching fee. We are interested in running enrichment activities such as: art, music, dance, science, sports etc. Please check with Mrs Sellars and/or Mr. Naipaul for scheduling the day of the activity. All proposals must be in writing to PAC by Wednesday, May 23rd. The activities should be completed before June 22nd. 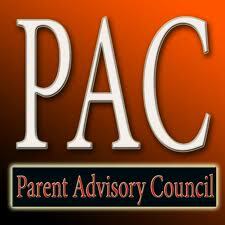 Depending on the demand, PAC will provide a budget of up to $700 for each group’s activity. If interested, please contact Duncan Porter, Tim Luu or Margery Mah. Thank you. As we approach a season of warmer weather there is a tendency for all of us to wear lighter and more casual clothes. This is just a reminder that we still expect students to come to school wearing clothes appropriate for work rather than a party or the beach. Flip flops are not safe footwear for children at school. 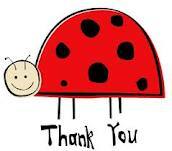 Thank you very much for supporting our expectations of appropriate dress for school. It is expected that students will go straight home after school. We do provide some supervision but it is not extensive. Primary students should not be playing on the playground unless supervised by an adult. There are no restrictions as to which students should use the playground after school as intermediate students use this area too while they wait to meet their parents. 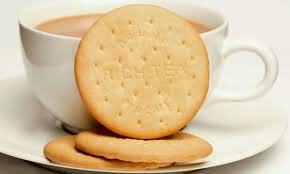 You are welcome to join us for refreshment in the lunch room on Wednesday May 16th. Chinese translation will be available at this time. There are many interesting topics we discuss such as the Canadian Education System, how much homework should students have, traffic safety, etc. The value-packed collection of UV resistant, waterproof labels and tags was designed especially for everything that goes to summer camp. Identify clothes, footwear, toiletries, swim gear, backpacks and more with this seasonal essential. Includes two FREE friendship bracelets! Available until the end of June. Reminder: Please see last week’s post for complete information. Please register your family on the “Maple Grove” team at www.childrun.com.